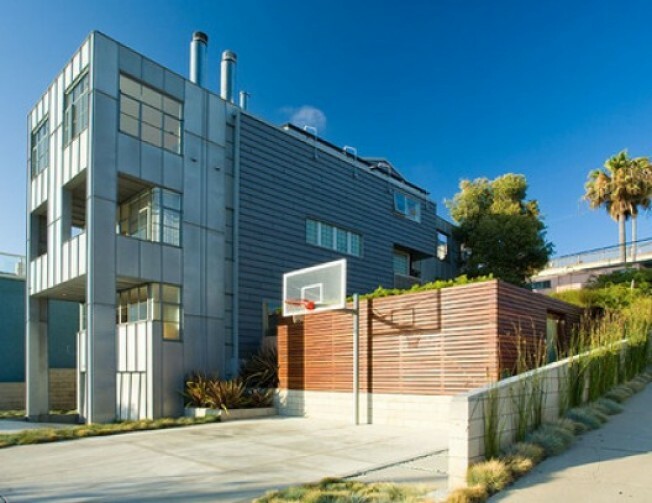 This three-bedroom home was designed by Thom Mayne and Michael Rotondi and then updated by Daly Genik Architects, and if the listing information is correct, this is one of the bigger PriceChops we've seen. It's listed at $4.997 million, just a slender shave down from its original listing price (it hit the market at August) of $7.9 million. Seriously? For more on this famous house, here's a New York Times piece on the residence: "Built on a 30-by-85-foot lot that is typical of this oceanfront neighborhood, the nearly 4,500-square-foot, three-bedroom house has four levels (including the garage), with the living room, dining room and kitchen all situated on the top floor to take maximum advantage of the ocean views." According to the Times, the home was bought in 2004 by the same people who purchased Richard Neutra’s Kaufmann house in Palm Springs (and who are now selling that home, too). *UPDATE: We knew this was too weird. A commenter says this new price doesn't include an additional lot, which was apparently originally included in that first listing. Redfin listing for the house here.